I hope you're all having a fantastic (and not too intoxicated) St. Patrick's Day! 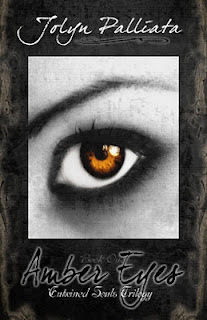 Today, I'm honored to have author Jolyn Palliata here to share a few words with us about her brand new novel Amber Eyes, the first book of her Entwined Souls trilogy. I've recently become a big fan, and I have no doubt when you get to know more about this fabulous author you will too! I think the YA craze was ignited by the YAers themselves. They were reading—and voraciously! As far as the genre of fantasy…what better way to escape the reality of teenage life than through a world of the paranormal and/or fantastical? Here, readers can stretch their imaginations, poke at the “what if’s”, dream about a different world, and disconnect from the day-to-day grind. Adults love the YA paranormal/fantasy world, too. And though every person will have a different reason as to why, I believe most (somewhere deep down) would love to relive their teen years, knowing what they know now, and re-experience their teen years for what they should be—a carefree journey of self-discovery- not the pent-up angst from a harsh reality. In the telling of my story, I am able to relay my “lessons learned” from my youth, and hopefully get YAers thinking about their lives, and a better way to respond to the pressures and stress they feel. (Because, believe me, they feel it like no other!) While they experience life through my characters, and open up to explore the world around them, they are lead down the same path—one littered with mistakes and, ultimately, better choices. Looking back on my teen years, I now know what was truly important in life versus what seemed monumentally earth-shattering back then. With Amber Eyes, I was able to delve into that further. For most teens, the greatest journey they embark on is the one they share with their first love. The world only revolves around the two of you, time stops when you’re together, and your heart has never soared so high, or sunk so low, in all of your existence. It is a roller coaster like no other, and can leave you grasping on to anything just to still the surge of emotions and catch your breath. And eventually, that ride comes to end. In that moment, your world falls apart and you feel a loneliness you never imagined possible. You are positive no one has felt the pain you’ve felt, or experienced the loss you have. And you hole up inside yourself to lick your wounds, and figure out where it all went wrong. Now, imagine going through all of that with an adult’s perspective. How could you grow from this situation? How could you learn from it? What truly is most important in life? You know the saying ‘Hindsight is 20/20’, that you have a perfect understanding of an event after it has happened? Imagine reliving your teen years with that perfect vision. Is there anything you wish you would have done differently in life—taken a different path, befriended a different person, made a better choice? Thanks for chatting with me, and a huge thanks to Wendi for having me as her guest! Thank you, Jolyn! I know if I could go back, I'd have quite a few things to say to my teenage self. I love that you write from such a personal place. After an accident, one she shouldn't have walked away from, Lexi's life finally begins. She meets Dez, a new student with the most beautiful eyes she's ever seen. And since gazing into them, Lexi has had vivid waking dreams that pull her back through time and into the warm embrace of a mysterious stranger- a stranger who becomes all too familiar. When offering an explanation for her detailed visions, Dez changes her world forever with two simple words: soul mates. For the first time in her life Lexi feels safe and complete. But lingering in the shadows is the embodiment of evil, coveting the light within her. He's a threat to Lexi's very existence, and to a love that has transcended time. I wish this book had come out before Twilight. I really do. The reason I say this is because it's so well-written I literally read it in two days time. And because Jolyn's abilities as a writer, in my opinion, far exceed those of Stephenie Meyer. I'd sit down to do something else and go back to Amber Eyes in a matter of minutes. I wanted to know how the author would explain this extraordinary connection between Lexi and Dez. I wanted to understand exactly who they were, and what they'd lived through in the past. And it was such a unique story in so many ways, I marveled a little at how the author traced through history so the present would make sense. But since Amber Eyes wasn't published before Twilight, I also became...well, frustrated...at the numerous similarities I found between them. And I'm not just talking about the fantasy element. I'm talking about actual scenes, like when Edward and Bella have their first conversation in the biology classroom, seated next to one another. She feels awkward under his intense gaze, can barely concentrate, and finds herself drawn to him both by the color his eyes and his unearthly beauty. In Amber Eyes, Lexi has a creative writing class where she is seated next to Dez and it's there they have their first conversation. He stares at her intently, speaks as though he's from another time, and Lexi responds by becoming a bit bewildered by his beautiful eyes and "devastatingly handsome" good looks.This introduction to Dez and Lexi's relationship was so similar I even picked up my copy of Twilight to read them back-to-back. It was disconcerting but I kept going because, as I said before, Jolyn's writing style blows Stephenie Meyers' out of the water (Oh, that's not how I said it? Well, that's what I meant!). But, later, I came across other similarities in plot: Edward has lived a long time, and his mannerisms, language, and attitude reflect it. He protects Bella as his chivalrous upbringing, and love for her, requires him to do. Dez is multi-lingual, regal, and a little old-fashioned. He knows what danger is there, always lurking, seeking to destroy what he has with Lexi. And both men leave their women to prevent them from experiencing any further harm. If you're a fan of Twilight, you will most definitely see the similarities here. With all that said, I can't disguise the fact that Lexi and Dez have a relationship that's far more interesting than Edward and Bella's when we talk in terms of dynamic. Lexi is a much stronger female protagonist than Bella and while she is, indeed, heartbroken after Dez leaves, she is not debilitated by his absence. She knows that she can go on without him, especially if she has no choice, because she's done it before. I admire her. I respect her. In addition, the little details behind their relationship and the hints that pop up along the way are truly fascinating! Lexi draws her past, seeing her memories like they're just pieces of her imagination, and Dez is there to help her remember. She falls in love with things like cooking and Latin dancing and languages because it's what she has always loved about Dez. She is not stuck to him because of an insane chemical reaction to his predatory nature, one that prevents her from making logical decisions. No, she is attracted to him because of their history together. I said before that if you like Twilight, you'll see much of what you liked about Edward and Bella in Dez and Lexi. But you'll also see much, much more. And I think you'll love it. 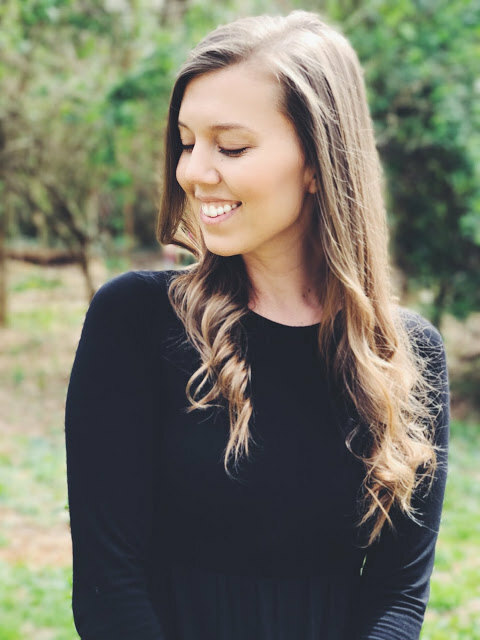 Thank you, again, to Jolyn for stopping by and sharing your thoughts on the phenomenon of YA fantasy fiction and why it endures in the hearts of so many readers. I can't wait to read the next book in the Entwined Souls series! Want to get a copy of Amber Eyes? Click here or stop by in a few days to enter in Jolyn's giveaway for a Kindle Edition of her book!